Full of happiness! Full of Hopes!! 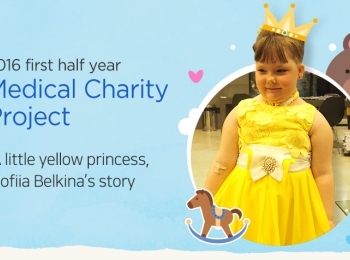 Are you ready to hear Sofiia Belkina's full medical charity story? Please let us share the story of Irina Cheles from Moldova. 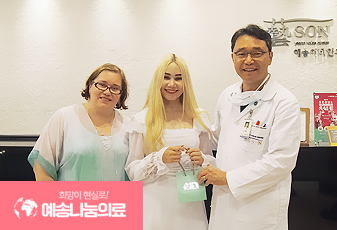 Like in the story of the Princess Mermaid,a lovely girl from Russia and an adorable kid from China could have their voice back through the surgery. 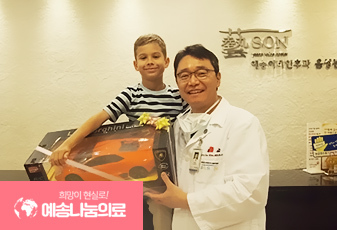 Yegor who had lost hopes once could get his voice back through the surgery sponsored through Medical Charity Project. Thank you! A graduation gift for Saltanat! Through the surgery performed during the Medical Charity Program, Saltanat could finally get her voice back which has been lost for more than 10 years. These three lovely kids finally could get their beautiful voice back as a special present through the surgery sponsored by Medical Charity Project. Thank you, Yeson! Ruslan and Alina's medical trip for their better life and future! Medical charity organized to help children from developing countries has granted an opportunity to get medical treatment to Ruslan and Alina.